A postprandial measurement is a blood glucose value taken after a meal. If SiDiary is not able to find enough values to recognize, then the problem is not that there are no values but there are no values which fit the conditions to be recognized automatically. 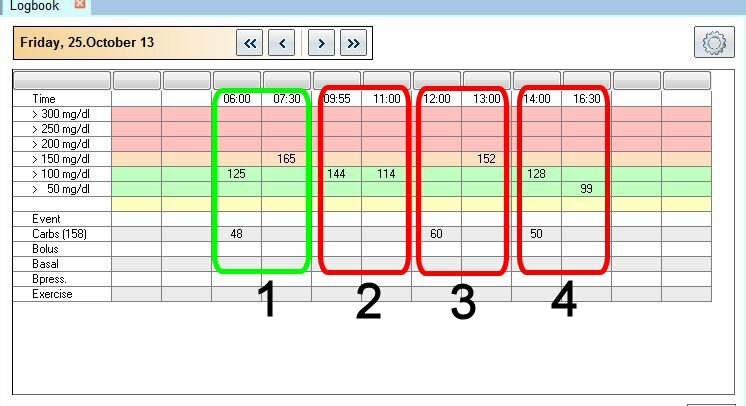 The conditions are: there must be a preprandial (=before meal) value for BG (recognizable as a BG value with a value for carbs also) and it must be within the time range for preprandial, which you can set in the trend analysis filter function. Here you can see examples. The filter settings are: 60-120 minutes after a meal.